The plum cherry looks VERY pretty. Can't wait to see that made up. Tell Dan to source the best bead shops to take you to in Singapore - I'll give you some pocket money to spend!!!!! I have been holding my breath all day, hoping that my grandchild will NOT be born today! - only a few hours to go and then I can let it out. How exciting, to be going to Singapore! I am eagerly waiting for the hook holders. The last time I was in Singapore was last year where I met with Sheila Dutton. She took me to Arab Street for the beads and loads of notions. I can't recall exactly which shops they were, but if you take a walk along the walkways, you will not miss them. Those woods look so luscious, especially the plum cherry! I can hardly wait for the opportunity to purchase another Pop-A-Bobbin shuttle! I do love mine! I'll take you bead-shopping. I know the nooks and crannies. With Jane's word about giving you the pocket money, you will be sure to enjoy this trip! An amazing post! I can't imagine where you have the room to store all that wood! The baptismal font is beautiful, and the doves are so special! You always have such interesting stories and histories about the woods. And what an exciting trip coming up, to see your son! Isn't it amazing that you already 'know' tatters who live in Singapore? As to Leap Year, I always do wonder about those who are born on Feb. 29. My niece (now 21) was born on the 27th, but it wasn't a leap year, so it wasn't a worry to us back in 1991. Maureen - I hope your grandchild has arrived safely. Jon - 'Im in the garage has now a bad cold (man flu) so nothing being produced at the moment! Arab street sounds great, think I will have to take an empty suitcase! 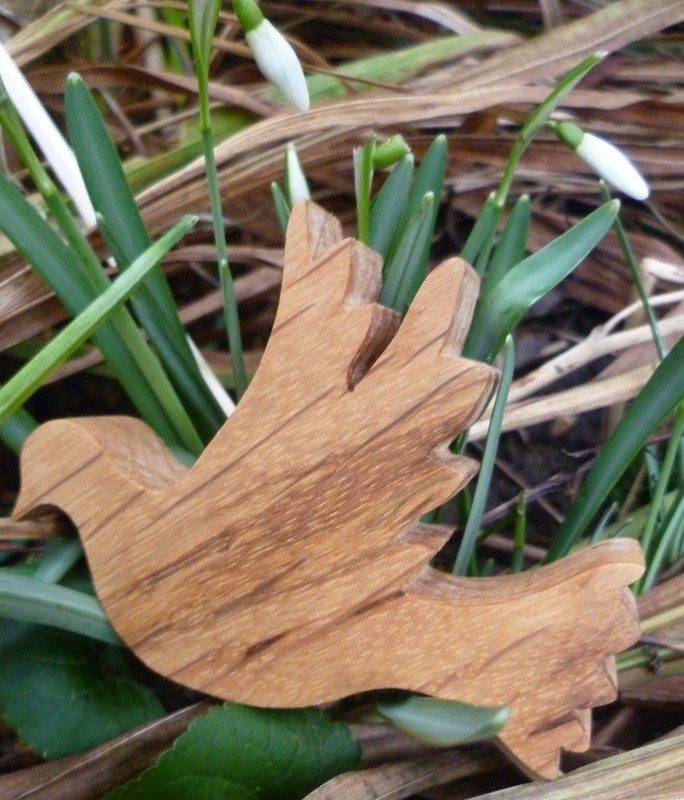 Diane - thanks for your lovely compliment, the woods are so tempting aren't they?! Val - My boys think that all I want to buy is beads!! Whatever gave them that impression?! As for the nooks and crannies sounds like you are the best guide. Yes we are selling the doves for the upkeep of the church. Ladytats - we are sure to have a fun trip, not going quite yet though. Kathy - You are right the wood is taking over this place! We are very excited about our trip especially as our other son is coming with us so we will be together as a family a rare event. 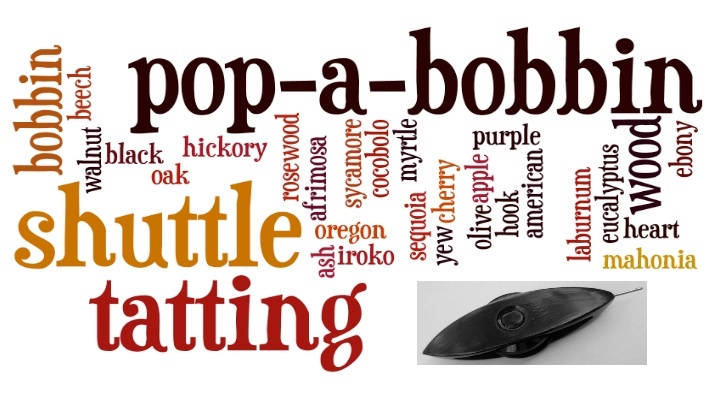 I would love to purchase a pop a bobbin shuttle! Please let me know when available! Tats - Be assured I will let you know when they are available.